Given the central role of county governments in ensuring the health and safety of all members of local communities, county leaders are important stakeholders in discussions related to federal immigration policies. The National Association of Counties’ (NACo) Immigration Reform Task Force provides a forum for county officials from across the nation to discuss the impact of federal immigration policy on local governments and communities, and to engage with federal decision makers on matters related to immigration. The Task Force is also charged with advising NACo’s ten policy steering committees on federal immigration issues. To carry our this objective of informing NACo’s policy steering committees, in 2018 and 2019, NACo’s Immigration Reform Task Force worked in a bipartisan manner to develop immigration consensus principles. Once agreed to, Task Force members then translated these principles into actionable policy resolutions through NACo’s comprehensive policy process. The policy resolutions, which were adopted by NACo at the 2019 Legislative Conference, highlight how counties continue to be impacted directly by federal immigration policies and practices. The Immigration Reform Task Force meeting drew a large audience. Photo by Denny Henry. A packed room of county officials Sunday heard from immigration experts who said county officials frustrated by worker shortages in their communities need to tell their stories to members of Congress in order to make changes to immigration policy. 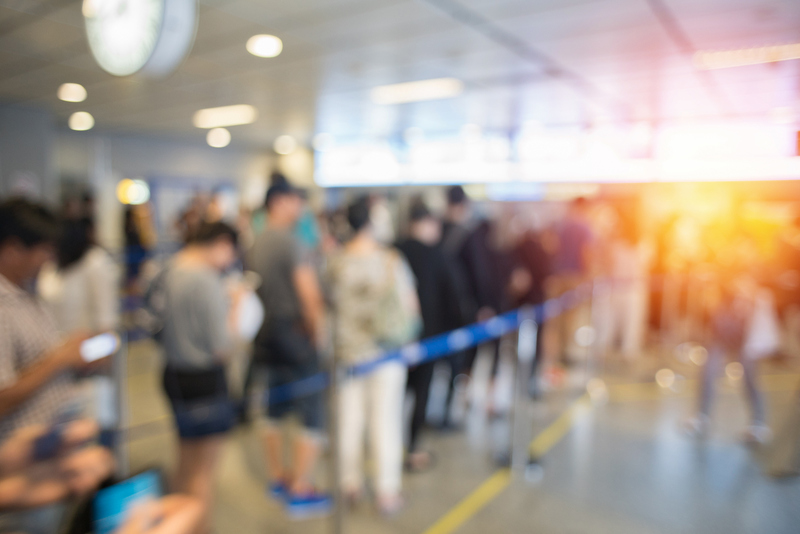 Members of NACo’s Immigration Reform Task Force (IRTF) will discuss how federal immigration issues impact local workforce needs in various industries and how the current federal immigration system impacts the availability of a legal workforce. Fearing that the federal government will seize private property in order to build a border wall, El Paso County, Texas sued the federal government Feb. 20, seeking to block President Trump’s declared national emergency regarding the nation’s border with Mexico. The president declared the emergency Feb.
Asylum seekers crossing the border from Mexico into San Diego County now have a place to stay before meeting their sponsors after the federal government abruptly discontinued its “Safe Release” program, leaving local governments and non-profits to fill the void.